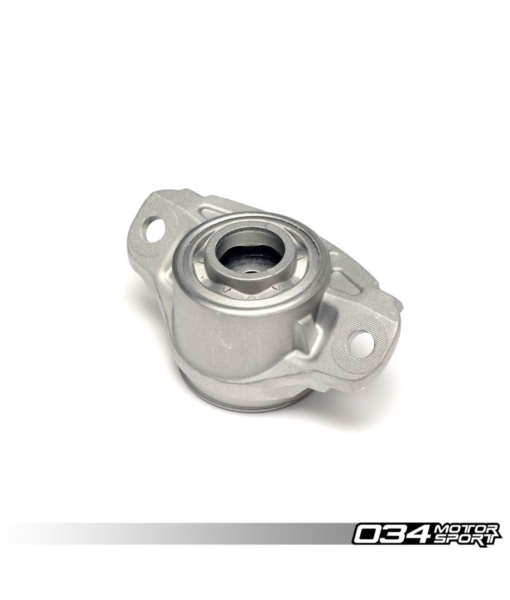 034Motorsport is proud to offer Street Density Rear Shock Mounts for the MkVII Volkswagen Golf/GTI & 8V Audi A3 FWD! 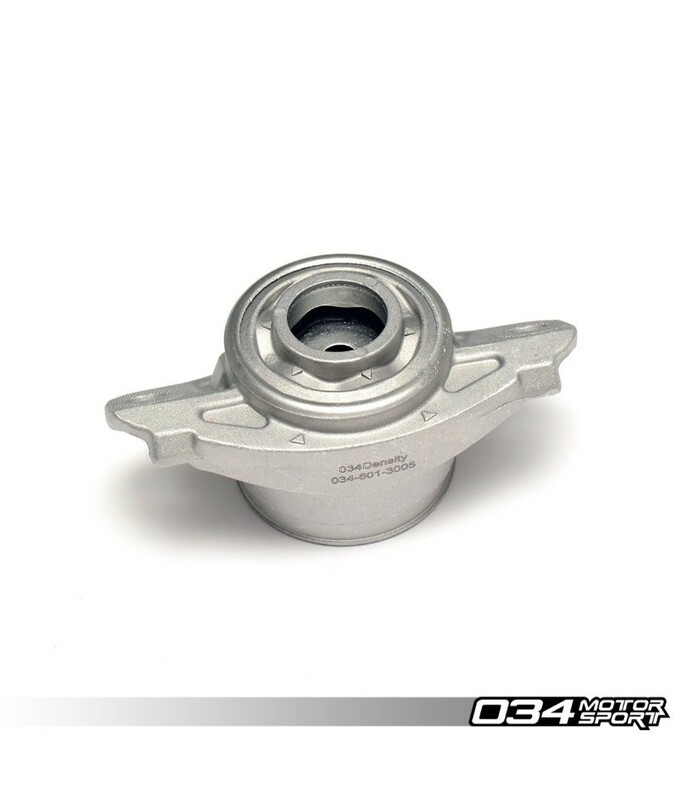 Street Density Rear Shock Mounts for the MkVII Volkswagen Golf/GTI & 8V Audi A3 FWD are engineered for increased performance and durability over the factory rear shock mounts. Featuring 50 Durometer Density Line Rubber, these performance rear shock mounts are able to cope with increased loads from spirited driving and upgraded suspension components. Designed to be a complete, drop-in replacement for the factory rear shock mounts, Street Density Rear Shock Mounts significantly reduce deflection under hard cornering, which helps maintain proper suspension geometry for better handling. In addition, the Density Line Rubber features enhanced bonding to the cast aluminium mount body – reducing the likelihood of separation and dreaded “clunk” associated with the factory mounts. Street Density Rear Shock Mounts are priced individually. Two mounts are required per vehicle. 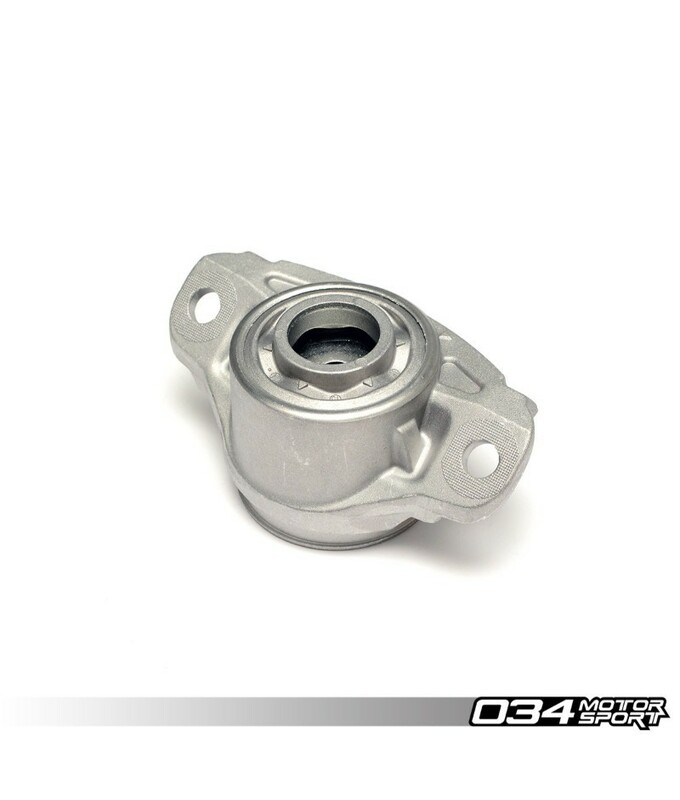 Please Note: Installation of 034Motorsport Street Density Rear Shock Mounts is a simple DIY for vehicles with standard suspension, however we recommend professional installation on Mag-Ride and Dynamic Chassis Control (DCC) equipped vehicles. For Mag-Ride equipped vehicles, a terminal removal tool and 16mm special service tool are required for installation.